You don't hear a lot from the African Blender community, so I was excited to see this modest production. I made this video using Blender, the idea was to make an animated commercial using an open source or free pipeline. The video is meant to serve as a proof of concept since animation is not big in Southern Africa and the continent as a whole. So hopefully other brands and companies would require similar services, enabling us to start making money using Blender. 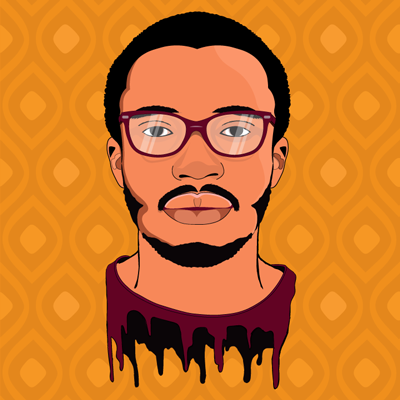 We are a small design agency in Namibia called Manjaro Design Agency, Manjaro is an Afriindie Design Boutique specializing in Multi-media Design, Animation, Graphic Design, Web Design and Business Solutions. We intend to use Blender to bring some overlooked African stories to life. We haven't really seen many Blender posts from the African continent, so this is us representing. The voice was recorded using audition, all the animation and models are Blender products. For composition, we used Davinci 15, the free version. We use an open source or a free pipeline because we don't feel like the other big software were made with consideration to 3rd world or African countries. One of our biggest challenges is that we buy tech at a price higher than that of most people in the world because of import fees, tariffs and markup. At the same time, our markets don't allow us to charge as much for our products as the more developed countries do. So at the end of the day, it's not really as profitable compared to other countries. But open source and free software help with alleviating the burden by democratizing the creative sphere. We also strongly believe that the future for Africa is open source. So thank you Blender and the Blender community, and you do have a user base in Africa. Whats missing are blender African meet ups or a Blender African Conference. I am a creative entrepreneur, working for my self is more in line with my skills and career goals. I am a blender head with a company Manjaro Design Agency. Manjaro is an Afriindie Design Boutique specializing in Multi-media Design, Animation,Graphic Design, Web Design and Business Solutions. GO ENOS! Keep it up! well done! How wierd.. This beautiful asset from blendswapd - https://www.blendswap.com/blends/view/88866 , poorly animated and with even worse changes..
Don't be mean. He is allowed to do it, isn't he? well i bought it from David Rodriguez on blend, https://www.blendermarket.com/products/veronica-latina-girl-character. I never claimed to be the best, but i have to start somewhere right ?. This is the beginning of my journey and the story is far from finished. little "stiff" here and there, but as you mentioned yourself, you have to start somewhere. And for "start somewhere" this is really good! And I guess that dudes animations as well. I think is a well done work, I m so glad you used veronica, I love the thing in her head (how is the name?) and her dress! I feel you bro. The rig is pretty bad. They even took it away from Blendermarket. Its the advertisement of it on this very site made me excited and i bought it without even thinking twice. I could return money add more and buy this instead https://www.blendermarket.com/products/anna-rig but i chose not to. Well done mate. Progress can be slow but as long as its steady... victory remains in imminent reach. It's Blender all over the world. Go African people and build up your skills. Good lip syncing that. Lots of lip syncing here! Most novice animators avoid lip syncing as much as possible! A brave attempt. Respect! Just out of curiosity, when you said you used Audition to record the audio, did you mean Audacity? I was just wondering, since you mentioned trying to use as much free/open-source software as possible. Also, what mic did you use? Great work! 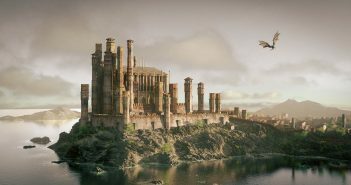 Previous ArticleCreate a Castle in Blender in 60 Minutes! 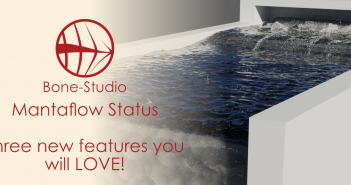 Next Article MantaFlow: 3 NEW features you will LOVE!